Being able to drive provides us with independence and freedom. Sometimes medical conditions, accidents or disabilities may mean that you are restricted when it comes to driving, or that you may need to stop driving for a while. When you are ready to return to driving, an assessment provides you with the information and advice you need to start driving again. What will happen during my Driving Assessment? On arrival you will be welcomed by our administration staff and offered refreshments. We will ask you to sign in and inform you as to where the facilities are (including disabled access). You will then be introduced to your assessment team, which will normally be an Occupational Therapist and a Driving Advisor. Each assessment begins with a consultation, which is an important part of the assessment process as this enables the team to learn more about your needs as a driver and how often you use your vehicle etc. During your consultation, the team will advise you on how the assessment will be conducted and whether you will be trying any adaptations. You will be asked to read a number plate from the minimum legal distance (20 metres) to ensure that your vision is safe for driving. Each driving assessment will be taken in one of our dual-controlled centre vehicles. Unfortunately you will not be able to use your own vehicle for the assessment however, it may be useful for our assessors to look at your own vehicle and any existing adaptations. After your assessment, you will have an opportunity to discuss the outcome and during this time, if relevant, you may be provided with more information on the adaptations and equipment that you will need to have fitted to your vehicle to enable you to continue driving. If the assessment team reach the decision that it is no longer safe for you to drive, we will be able to provide you with information to keep you mobile and independent. All private and Motability clients will receive a written report, explaining the outcome of the assessment, which will include any relevant information. If you have been advised during your assessment that you will require adaptations or equipment to continue to drive, then details of these, along with a list of local adaptation engineers and specialist driving instructors will be provided with your report. Please note there will be a nominal charge for subsequent copies of the report to be sent. What Will Happen During my Transfer Assessment? These assessments are run in a similar way to the driving assessments, however these are specifically concerned with getting in and out of a vehicle, travelling safely (sometimes in a wheelchair) and the loading and stowage of equipment such as wheelchairs and scooters in a vehicle. You may be advised that it is safe to continue to drive. You may be advised to take some tuition and return to the centre for a review of your driving. If you need to return to us for a review assessment at any time within the following three months, there will be no extra charge. You may be advised to stop driving. It should be noted that whilst every effort is made to enable you to commence or continue to drive, there may be occasion when it is appropriate for us to advise you not to do so. Should we consider that this advice is not taken we may be required to inform the DVLA. The DVLA may require you to have a driving assessment and if this is the case, they will inform you in writing. It is imperative that you contact us as soon as possible to book your assessment, which you will not be charged for. 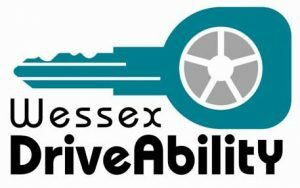 If you are in receipt of the higher rate of mobility allowance DLA or the enhanced rate of the Personal Independence Payment (PIP), then you may wish to contact Motability on 0300 456 4566 and ask to be referred to Wessex DriveAbility for a driving assessment, as you may be entitled to have your assessment funded by Motability. As a charitable organisation the majority of our funding comes from the Department for Transport, this in turn allows us to heavily subsidise the fee for the assessment to members of the public, however the fee for other organisations funding the assessment for their clients, such as solicitors or rehabilitation companies is £295. What happens if I am advised to stop driving? If it happens, being advised to stop driving can come as a shock. However, it may be easier to manage without a car than you think. The Older Drivers Forums of Hampshire and Dorset have published a brochure full of advice on managing without a car.